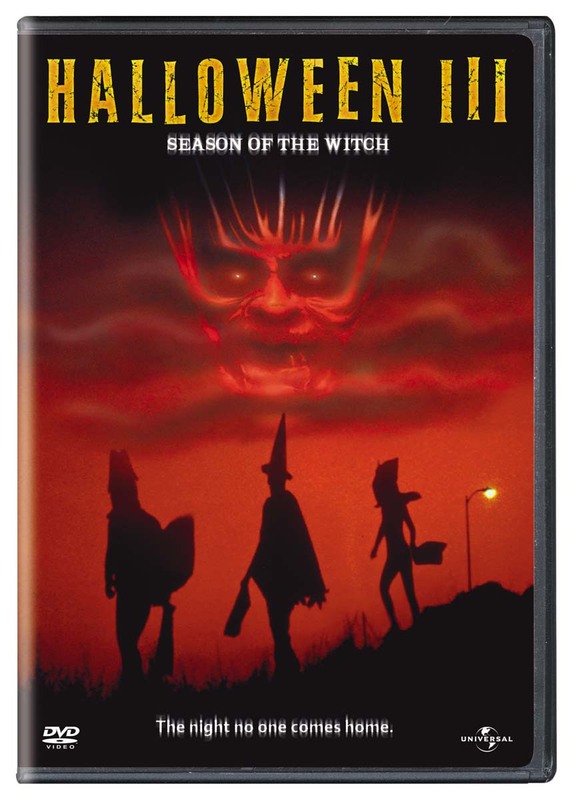 The only "Halloween" film without a Michael Myers storyline, "Halloween III: Season of the Witch" (1982) starring Tom Atkins and Stacey Nelkin, will give you something to scream about. Just before Halloween, assailants wound toy salesman Harry Grimbridgein a hospital parking lot. After receiving treatment from Dr. Dan Challis, Grimbridge is killed by an assassin who later sets himself on fire. Challis and Grimbridge's daughter Ellie team up to discover the reason for the murder, and they soon uncover Silver Shamrock Novelties, a Halloween-mask factory run by mad warlock Conal Cochran.